Is this soup eaten as hot as it is being served? Well, let's try to investigate a little further. Imagine a photon in the box on its way from the inner wall toward the body of a person that is present in the box. This photon doesn't see that person yet. For the photon the person is in a box in a superposition of all its possible states. When the photon hits the person's body this acts as a measurement, opening that box. While at the same time another box has formed around the person and the photon hitting it and has closed. In fact, when the photon hits the person, it is as if the photon has permeated through the wall of the box that person is in, adding itself to its content. Somehow it has doubled itself as many times as there were different states in the box and then each single photon enters one specific possible state. It must be like that since when in one of the possible states in the box the photon was missing this would violate the law of energy conservation, which is one of the most founded laws in nowadays physics. Remember any of those possible states is a world on its own, with its own reality experience, but not seeing the other worlds. And every state obeys the same laws of physics. Up until now there are no signs of a different view about that. The inner observations in the box cannot significantly alter the motion of the objects in the box but they do "nudge" the wavefunction of the things they encounter. These encounters disturb the wavefunction's coherence, its neat order of wave crests and troughs, necessary for generating neat interference effects. In doing so messing it up to some average smeared-out state. The more smeared out it is, the lesser one can infer from it the existence of different worlds in superposition. But this doesn't say those worlds are not there. You have the smeared-out state interference pattern and in the box is the superposition of all possible worlds that possibly could have led to it. That includes the worlds we know are in there PLUS the worlds that too can lead to precisely the same smeared-out pattern observed by us, Outside Observers. Environment induced decoherence, as the smearing out is called, works fast. A grain of dust in empty space decoheres in about a millionth of a second, due to the photons of the 2.7 K microwave cosmic background radiation present everywhere in outer space. 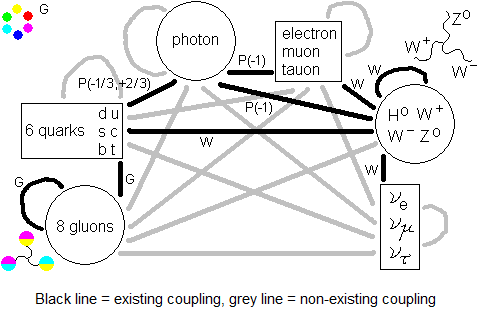 Does the box gain extra mass in the process of photon-doubling? One must regard this in a quite straightforward way. The interference pattern of the wavefunctions in the box is all we can know about the box's content until we open the box. From that interference pattern is derived a probability division of objects and particles that precisely predicts how much mass of particles and objects can be expected where and when. The observed mass of the closed box is just the end result of this probability division. There's just no other way. By the way, did you know the cat escaped? Gravitation; the biggest box-opener, choice-maker, realizator of wavefunction's superposition. 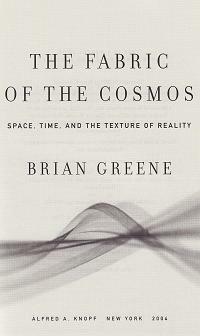 In doing so GR, describing all of gravity, as to speak do fight quantum mechanics. QED, connecting every spacetime-point of our four-dimensional universe with every other spacetime-point in the same universe along routes that follow the curves of spacetime. This means in environments of highly curved space a different outcome can be expected when performing renormalization of the electron and other particle states. The famous two-slit experiment doesn't suffer from decoherence. Decoherence is not a fundamental feature of empty space. In principle one can think of ways making decoherence as slow as desired. Decoherence explains why special interference effects of wavefunctions do not show off at the earth surface or such place, long enough to measure them. Is it possible to sufficiently slow down decoherence? We shall see. Decoherence bridges between the quantum realm and our every day reality as we experience it. But, as Brian Green points out at the end of his chapter about decoherence, "far from everyone is convinced that the bridge has yet been fully built." Brian Green points out that in unmeasured circumstances each of the potential outcomes embodied in a wavefunction, still vies for realization. So we are still left wondering how one outcome “wins” and where the many other possibilities “go”, when the actual measurement takes place. The familiar Copenhagen interpretation, without all those extra worlds, remains unsatisfactory.